Bohol is undoubtedly the number tourist destination in the country. Blessed with natural resources, a rich historical tradition, and a friendly, hospitable people, Bohol is a delightful place to visit for those looking to relax, enjoy and have fun. 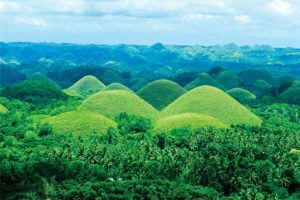 From the smallest primate to the best white sand beaches to the world-famous Chocolate Hills, the wonders of Bohol never cease to amaze you. 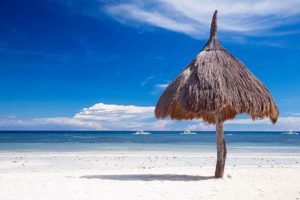 Bohol Treats Travel and Tours is proud to offer affordable but fun-filled Bohol tour services and travel packages. Our service comes with a personalized touch that prioritizes your comfort, safety and convenience. We are experts in the local tourism industry and we make sure that you come home with wonderful memories of your Bohol vacation. Please take a look at our Bohol day tour services and choose one (or several) that you want to experience. Be sure to contact us for a free, no-obligation quote, and we will take care of the rest. Explore Bohol’s vast natural wonders or delve into its rich and colorful history. Tour around the countryside to partake in Bohol’s finest natural and cultural treasures. Nature lovers, history buffs, or anyone who loves travel will definitely enjoy this experience. Destinations: Blood Compact Shrine, Baclayon Church and Museum, Tarsier Watching, Loboc River Cruise, Man-Made Forest, Chocolate Hills, Butterfly Conservation Center, Souvenir Shopping. Destinations: Dauis Church, Dwarf Watching, Bohol Bee Farm, Ostrich Farm, Hinagdanan Cave, Shell Museum, Bohol Beach Club. 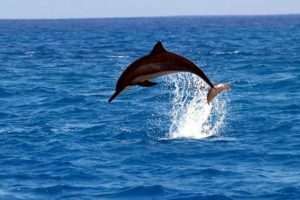 Go island hopping and watch the friendly dolphins and whales of Pamilacan Island jump and perform somersaults. You can also go snorkeling or scuba diving and see the splendor of Bohol’s rich and diverse marine life. Cap off this trip with a visit to the pristine and untouched Virgin Island. Destinations: Dolphin Watching, Balicasag Island, Virgin Island. 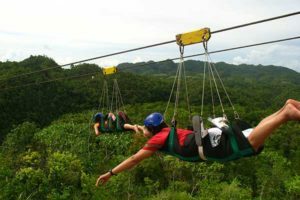 If you are hankering for an exciting and breathtaking adventure, maybe the Danao Extreme Adventure Tour will help you feel the adrenalin rush! Experience a different kind of excitement with all sorts of extreme activities such as ziplining, rappelling, kayaking, cave trekking and root climbing. Destinations: Danao Adventure Park, Sagbayan Peak. 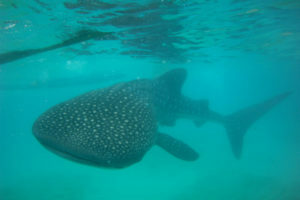 Swim and dive with the friendly whale sharks of Oslob, Cebu. You can now watch and see the famous whales that are locally known as butanding. Destinations: Playing Grounds of Whales in Oslob, Cebu. Go around the Queen City of the South with our Cebu City Tour package. We will take you to visit Cebu City’s historical landmarks such as Magellan’s Cross, Taoist Temple, and more. 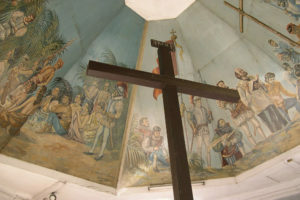 Destinations: Fort San Pedro, St. Pedro Calungsod, Basilica del Santo Niño, Magellan’s Cross, Museo Sugbo, Taoist Temple.